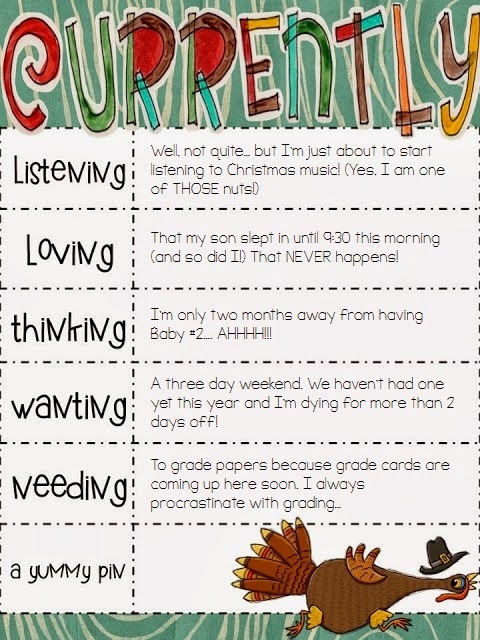 The Open Door Classroom: November Currently! Loving- I NEVER get to sleep in. It seems as though my son wakes up earlier the later he goes to bed the night before. Today, however, was an exception. I couldn't believe it when I looked at my phone and realized it was 9:30. Pure bliss! Thinking- I only have two more months to prepare for this little girl! We are so absolutely excited to welcome our little Makenna Grace into this world! Wanting- Have you had a three day weekend yet? We haven't and I am DYING for one. I always feel like I just need one more day each weekend. Needing- I DESPISE grading papers. I wish I would be better about grading them periodically but I always end up procrastinating right up until grade cards. Oh well! 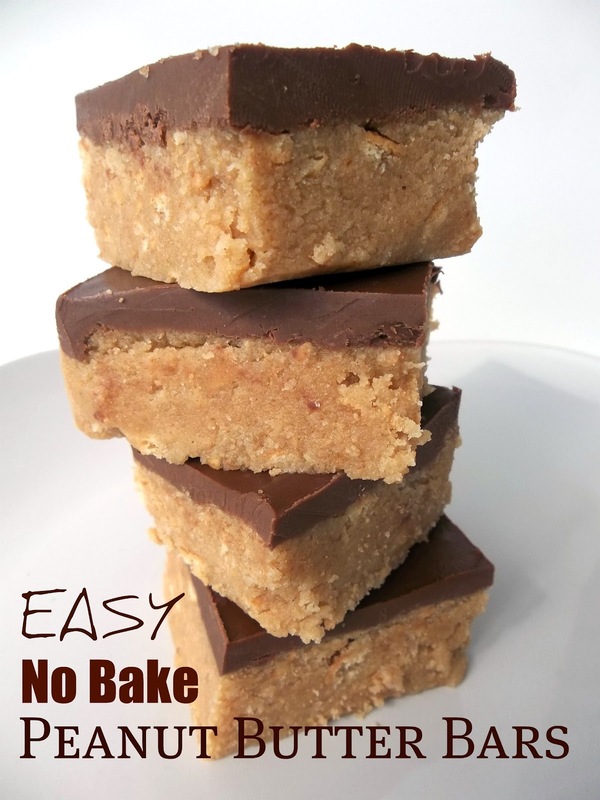 A Yummy Pin- Easy No Bake Peanut Butter Bars. These are absolutely delicious! I've made them several times and they really only take a couple of minutes and a couple of ingredients. I love Christmas music too! Especially the Mariah Carey Christmas album... it never gets old! Congrats on the baby on the way! The time will be here before you know it! Glad I found your blog through Currently! I'm a fellow Ohio blogger and you're newest follower. 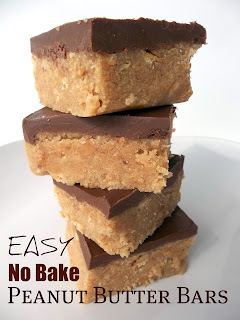 Those peanut butter bars look amazing! Gonna have to pin that one! Congratulations on the new baby! Love finding new blogs thanks to Oh' Boy and currently. I love those peanut butter bars. Can't wait to check out some of your posts.